Anyway, today Hot Topic and Barnes & Noble had a limited supply of the Comic-Con exclusives/ I managed to snag a metallic C-3PO, a Rocket Racoon holding potted Groot, and a black suit Ant-Man. Plus, I grabbed some others that have been on my list for awhile. I have a small handful of them, but damn. I only have the helmetless Ant-Man from the Marvel Collector Corps box. If I see regular AM I will grab him, but no real interest in starting a zoo or anything. I grabbed a couple Brock Lesnar ones that I saw at Walmart. Other than that I don't have any, though I'm sure my girlfriend will start buying me them when she sees I bought the Brock ones. Just kidding, your collection is great. I would like to get into these, but I don't have the space and can't justify spending money on them with my budget. I've got one shelf worth and try not to go too crazy. Out of the box. Even the rarer ones. My problem would be that I would order 10-15 at a time, several times a year. My addictive personality knows no bounds sometimes. Well, if anyone is in the Burbank area you'll want to visit my friends at Halloween Town then. They have a fuckload of Pops. They do but I think you'd have to email or call to see what rare ones they've got because those aren't on the site - like the glow variants and stuff. They have some of the pricey discontinued Pops on the site, though. 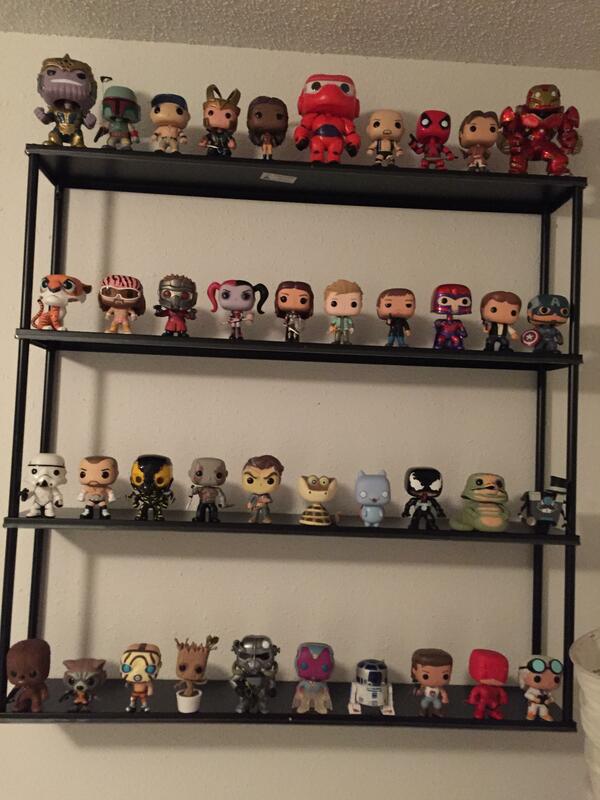 I have Dancing Baby Groot, Rocket, Hulk (Incredible not Hogan), Darkseid, Buffy (Hot Topic exclusive), Willow (BTVS not Lucas lotr rip-off), Vampire Willow (Hot Topic Exclusive), Spike, Freddy Kruger, Jason Vorhees, Michael Myers, and the mini King Joffery that came with GoT season four. I think that's it. I really want the Spike Vampire face variant but it's way to pricey for my blood. They really need to make a Space Ghost, stat. I have way too many of these things. No pics as they are stored in every nook and cranny. I really need a hutch or cabinet for them. I have 7 of them 6 Game of Thrones and Poison Ivy but I'm thinking of going POP hunting at my local mall later today. 4 of the Game of Thrones I bought off EBay. 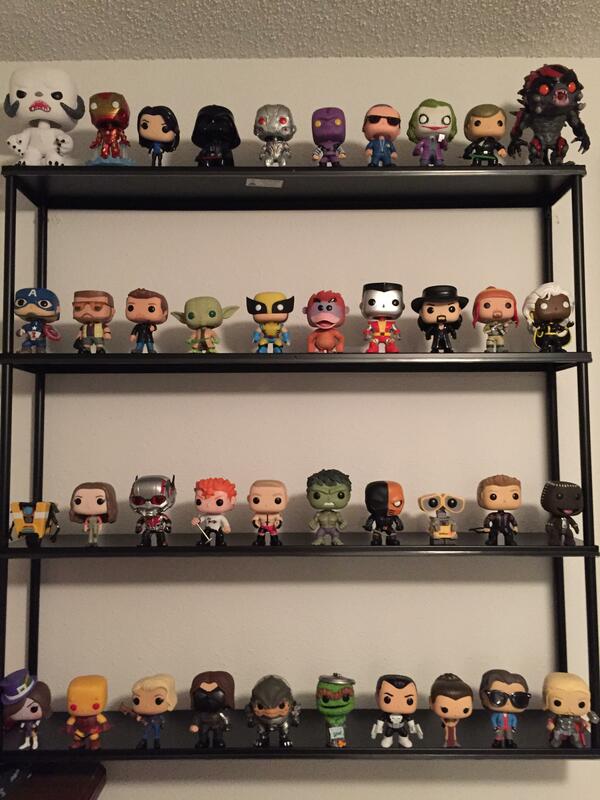 All I have is Deadpool (X-Force version) and Baby Groot. I've been wanting to pick up Grunt, though. I am really glad I'm not in college now. There was just sort of the tip of the iceburg when I was. Things like those expensive Transformers G1 remasters or the FX Lightsabers (if you knew where to look. They weren't widespread like they are now). I'd spend so much money on crap that I would have regretted spending money on a few years later. I have 8 forgot about Sansa Stark I picked up at Walmart. Picked up Deadpool, Mad Moxxi, The Flash and Macho Man. Well, I went from 0 to 3 today. Picked up vanilla Ant-Man and Rocket J. Squirrel. Wishing I had grabbed Bullwinkle too, hopefully he's still there in a week. I've got one of these, just one. It's a Dirk Nowitzki(of course) and he is mounted to my dashboard in my car. Picked up Deathstroke earlier when getting Taco Bell for Breakfast for the 1st time.